The new mural on the Rose Fitzgerald Kennedy Greenway is officially underway. 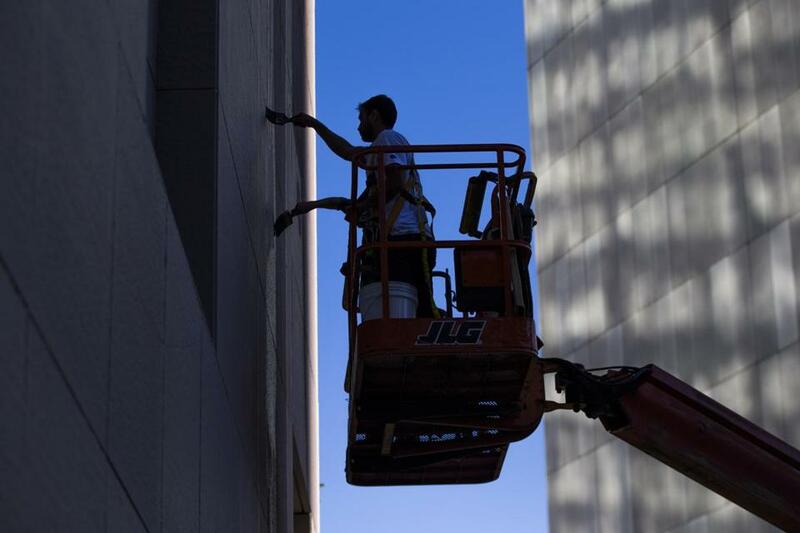 Mehdi Ghadyanloo on Friday began painting the mural on the wall in Dewey Square. Ghadyanloo said he expects the mural — the fifth to have appeared in recent years — to be done in less than two weeks. Ghadyanloo said the inspiration for the name came three months ago, when he went to see the wall he would paint. Ghadyanloo said he has wanted to paint the Dewey Square wall ever since it was first transformed into a place for murals. Ghadyanloo said the goal of his art is to give people a few minutes away from the troubles of the world. With “Spaces of Hope,” he wants people to see what’s possible around them. Artist Mehdi Ghadyanloo painted his mural, "Spaces of Hope," in Dewey Square on the Rose Kennedy Greeway in Boston. 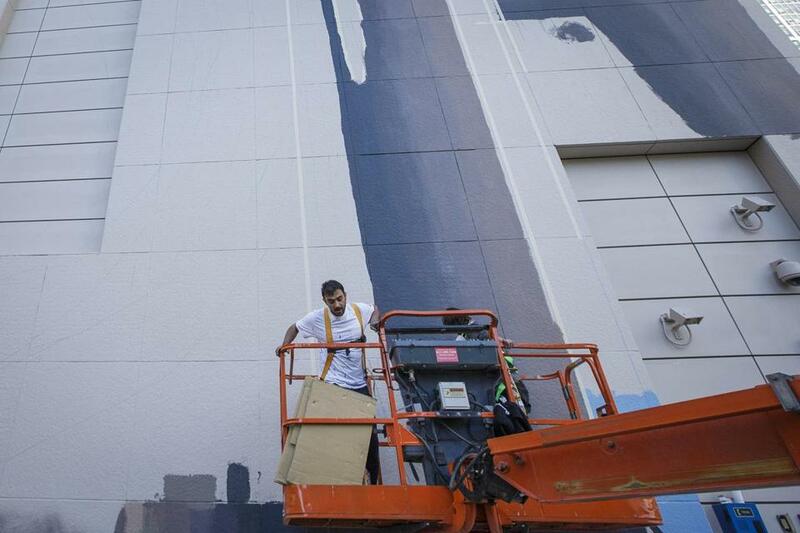 Work on the new mural began on Oct. 7 and is expected to be completed in the coming weeks.